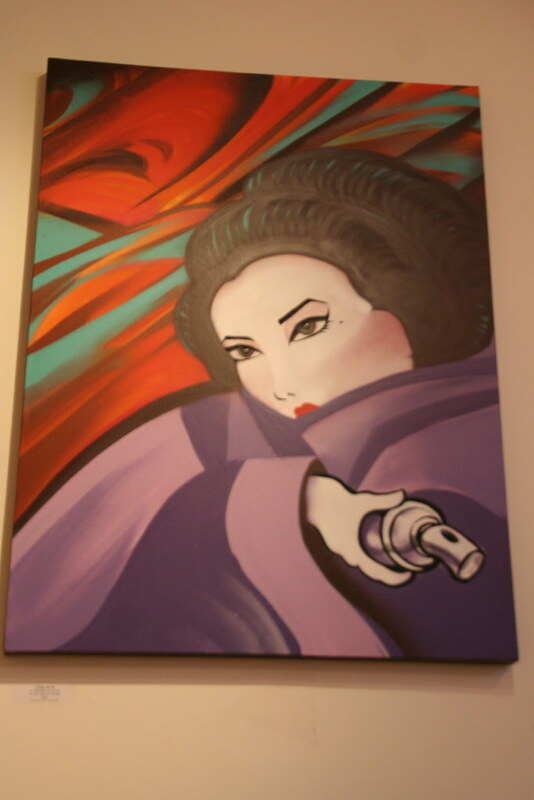 Even Mike “Bam” Tyau contributed his newest depiction of his signature geisha girl. View more of this collection on our flickr. 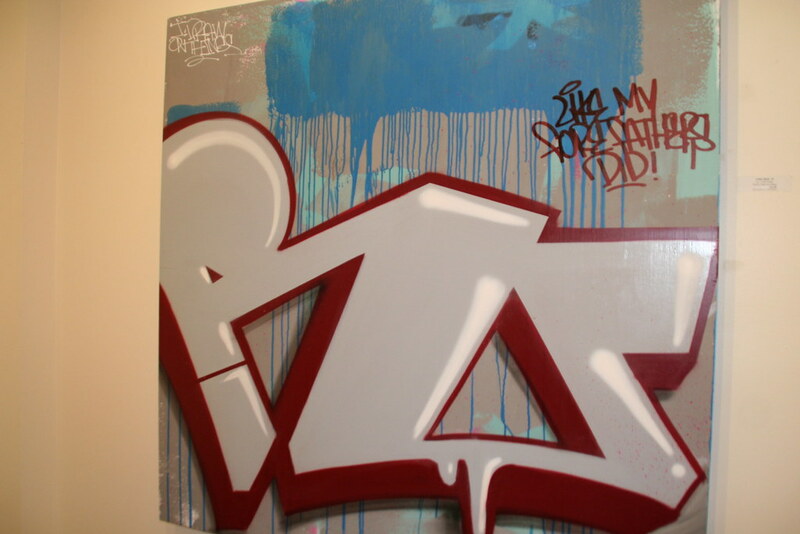 Make sure you visit the gallery and educate yourself on some graffiti letter styles… and a graff geisha girl (droppin’ a bit o’ alliteration for ya, try saying that 5 times in a row). 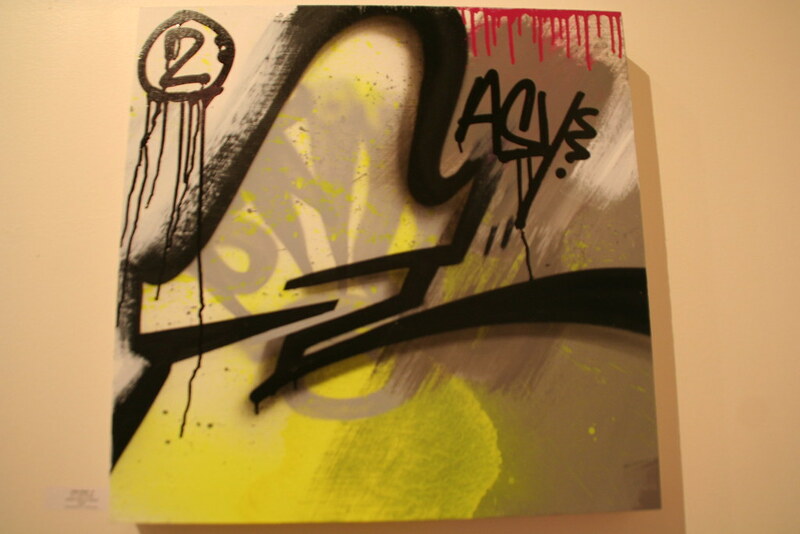 If you are interested in any of the pieces, email info@1AMSF.com.